...ah, the Rose Bowl... Those were the days, eh? 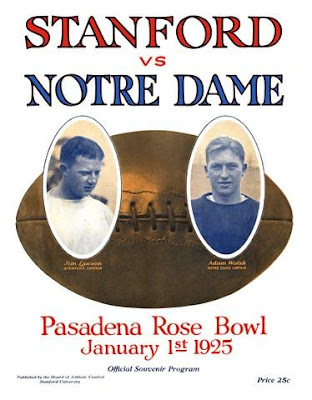 The Irish have been looking... uninspired... as of late--to say the least. Here's to hoping that the skies will part and shine down some inspiration (or a decent defensive strategy) on our dear team so we can at least walk away with a winning season. 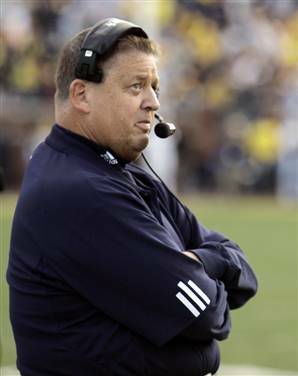 And of course, rumor (and common sense) has it that this will likely be Charlie Weis' last game with ND. So, Domers... who is on your Christmas wish list to take over the program next year??? As always, pre-game predictions, real-time cheering/cursing, post-game celebration/mourning... and your coaching wish list for next year, are all welcomed in the comments. Blog away, dear Lefties! I'd like to wish a Happy Thanksgiving to all our readers and writers at Lefty's Last Cry. Lefty's has been in a bit of a hiatus right now. To be completely honest, I've been discouraged by some of the buzz surrounding the health care debate. The dramatization and horse-race style of the MSM is too exhausting. However, I was happy to see that someone bothered to point out how ridiculous the filibuster has become. As we sit and watch football, drink beer, and stuff our faces, I'd like to present a little list of 5 things I am thankful for. If you have any thanks to give, feel free to add them into the comments. #1: I am thankful our national soccer team didn't miss the world cup because of some silly hand ball.